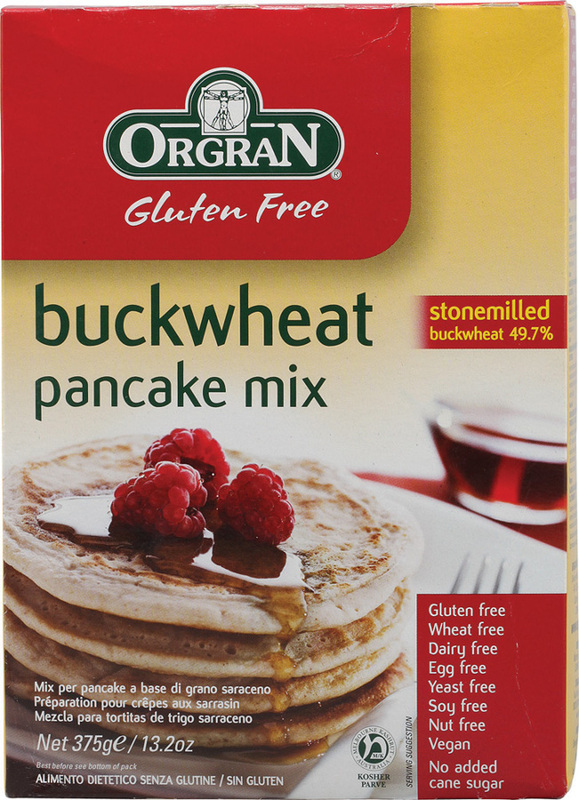 Orgran Buckwheat Pancake Mix is wholesome and contains no added cane sugar. It will make tasty and healthy pancakes the whole family will adore. The main ingredient is Buckwheat, which is actually part of the rhubarb group of plants and not a grain. The protein in buckwheat is a high quality protein, containing all eight essential amino acids, including lysine. Typical serving size is 37.5g. 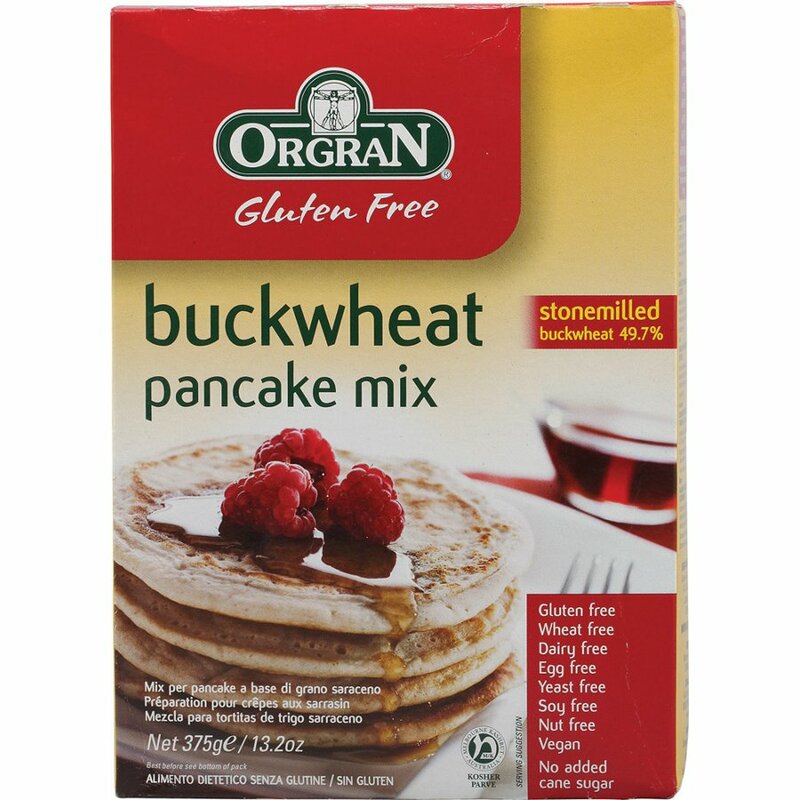 If using again I would use more liquid as the pancakes tend to be stodgy if you stick to the recipe on the box. A treat for a GF vegan -- I just made half a packet using water, almond milk and no egg, and while I would have liked the pancakes to brown a bit more, my mouth and tummy are happy. Topped with natural sugar-free apple sauce.